Teaching Artist Alice Parker (2015 – 2016) is a composer, conductor, and teacher whose career of over 60 years has been devoted to choral and vocal music. Parker studied choral conducting with Robert Shaw and their arrangements of folksongs, hymns and spirituals form an enduring repertoire for choruses all around the world. She continues to compose in many forms, and has been commissioned by such groups as Chanticleer, the Vancouver Chamber Chorus and the Atlanta Symphony Chorus. Now a resident of western Massachusetts, Parker has published numerous recordings, books and videos, and has been widely recognized for her lifetime contributions to choral music. 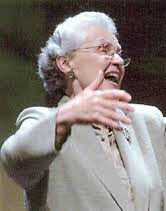 She is the recipient of six honorary doctorates and the Smith College Medal. 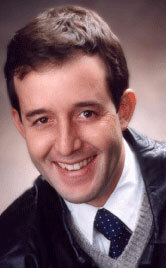 Advising Composer Cristian Grases (2013 – 2016) is a conductor and composer with expertise in Latin American choral music. Originally from Venezuela, Grases has extensive experience as a choral and orchestral conductor, is an award-winning composer and arranger, and serves as a clinician, adjudicator, and conducting pedagogue at music festivals, workshops, and events throughout the world. 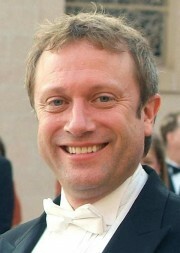 Grases is currently an assistant professor of choral music at the University of Southern California’s Thornton School of Music. WomenSing Advisory Board Member Charles Bruffy (2009 – present) is a nationally prominent choral conductor who has garnered high praise for his ensembles’ live performances and recordings. The Grammy-winning Bruffy is Artistic Director with the Kansas City Chorale, the Phoenix Chorale, and the Kansas City Symphony Chorus as well as Music Director at Rolling Hills Church. He is a sought-after choral clinician, has extensive experience with commissioning new works and premieres, and supervises the publishing of a choral music series. 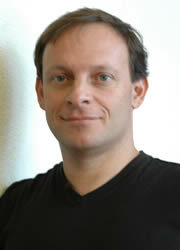 Martín Benvenuto (D.M.A.) has established a reputation for the finest choral performances, and has extensive expertise in treble choir repertoire and vocal production. He has led numerous choral collaborations with a wide diversity of organizations, and his choirs have a history of commissioning new works with leading composers as well as promoting new composers. In addition to leading WomenSing, Benvenuto is Artistic Director of the Peninsula Women’s Chorus and for many years was on the faculty of the Piedmont East Bay Children’s Choir. 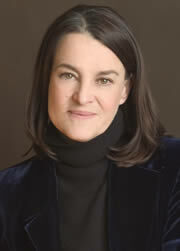 Teaching Artist Libby Larsen (2009-2014) is one of America’s most performed living composers, with over 400 works spanning virtually every genre from intimate vocal and chamber music to massive orchestral works and over twelve operas. Grammy Award winning and widely recorded, Larsen has held residencies with the Minnesota Orchestra, the Charlotte Symphony and the Colorado Symphony. Larsen was recently awarded the George Peabody Medal for Outstanding Contributions to Music in America. Larsen had an important role in the launch and success of Youth Inspiring Youth, serving as Teaching Artist for the program’s first six seasons. 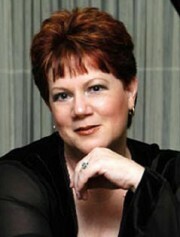 Sandra Milliken, International Advising Composer (2011-2012), is based in Brisbane, Australia. She has extensive musical experience, both in Australia and internationally, through performances of her music, and her work as a conductor, clinician and music adjudicator. Milliken is currently the musical director of the Blackstone-Ipswich Cambrian Choir and the Bayside Divas and is the former Artistic Director of Queensland Youth Choir. She specializes in choral music and has her own music series, Choral Vivace. River of Words is now part of the Center for Environmental Literacy at St. Mary’s College in Moraga, California. Founded in 1995 by former US Poet Laureate and 2008 winner of the Pulitzer Prize for Poetry, Robert Hass, along with writer Pamela Michael, River of Words has energetically enlisted youth from around the world to compete annually in both art and poetry on the subject of the environment. ROW has conducted training workshops for teachers, park naturalists, grassroots groups, state resource agencies, librarians and others since 1995, helping them to incorporate observation-based nature exploration and the arts into their work with young people – improving children’s literacy and cognitive skills of investigation and critical thinking.